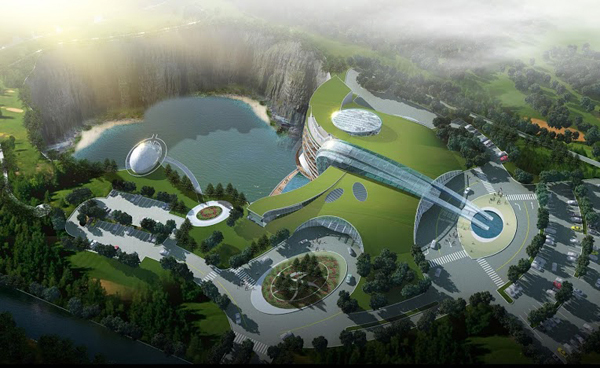 Atkins has won an international competition to design a five-star resort hotel set within a beautiful water-filled quarry in the Songjiang district close to Shanghai in China. 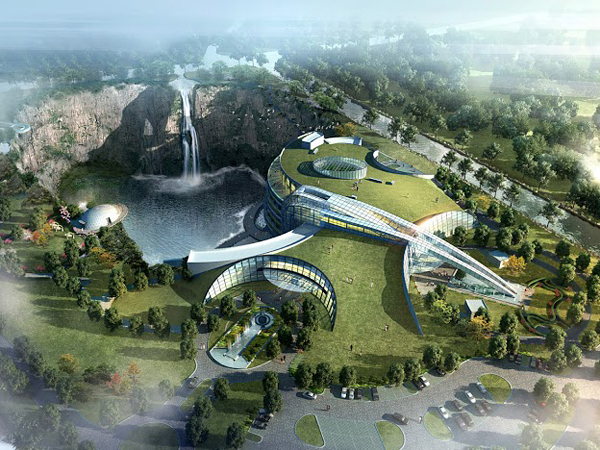 Its stunning concept designs inspired by the natural water and landscape features of the quarry captured the imagination of judges to quash competition from two other international firms. 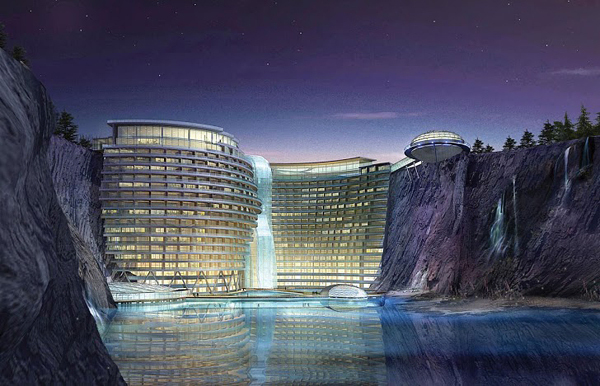 The innovative design of 400-bed resort hotel stands two levels higher that the rock face of the 100 meter deep quarry and includes underwater public areas and guestrooms. It will incorporate conference facilities for up to 1,000 people, a banqueting centre, restaurants, cafes and sports facilities. 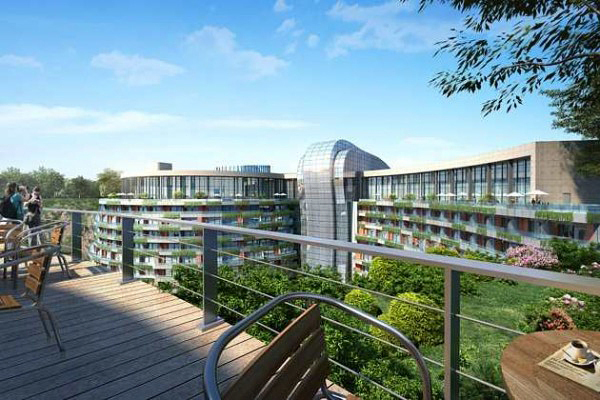 Sustainability is integral to the design ranging from using green roofing for the structures above the ground level to geothermal energy extraction. An aquatic theme runs through the design both visually and functionality. 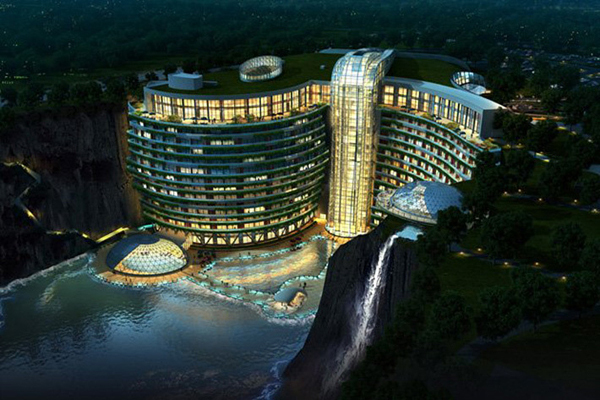 Two underwater levels will house a restaurant and guestrooms facing a ten-meter deep aquarium. 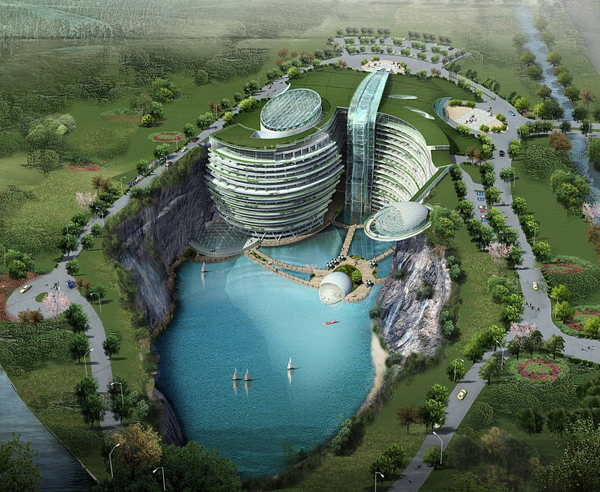 The lowest level of the hotel will contain a leisure complex with a swimming pool and water-based sports. 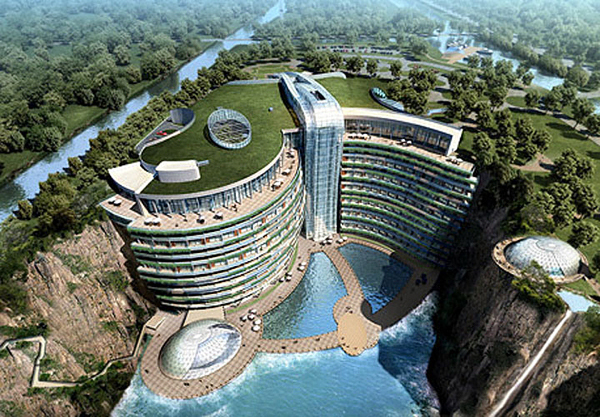 An extreme sports centers for activities such as rock climbing and bungee jumping will be cantilevered over the quarry and accessed by special lifts from the water level of the hotel.